Come and experience our new Comforts of Home&reg Bedding Collection. 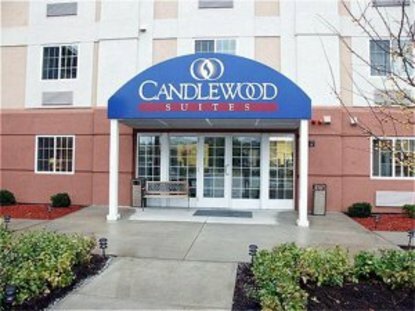 The Candlewood Suites Nanuet is the only all-suite hotel in Rockland County. Only 20 miles from New York City, conveniently off the NY State Thruway with easy access to both Palisades Interstate Parkway and Garden State Parkway. We are conveniently located minutes from Dominican College, Palisades Mall, Woodbury Common Outlets, Rockland Community College and West Point Military Academy We are the perfect place for your next stay and a great alternative to a corporate apartment. Each spacious suite has a full kitchen complete with microwave and full size refrigerator. Work efficiently at your over sized executive desk with free high-speed Internet access and two separate phone lines - check email and talk on the phone at the same time. Our setting is the perfect choice for business or leisure travelers. Earn Priority Club Points for each qualifying stay. Relax in the overstuffed recliner while you enjoy the DVD player or VCR and movies from our complimentary lending library at the front desk. Work off some stress in our fitness center or visit our Candlewood Cupboard. You can purchase meals, snacks and sundry items at value prices. This hotel is committed to providing accessible facilities under the American Disabilities Act. If your accessibility needs are not met, please contact the Hotel Manager on Duty. Should you require additional information regarding accessible facilities for guests with disabilities, please call 1-800-Holiday (U.S. and Canada) or contact the hotel directly. For the hearing impaired, TDD service is available at 1-800-238-5544 within the U.S. and Canada.